We are a nation of laws. But in order to make those laws, we need a process for drafting, debating, and voting on them. Much of that process is governed by rules that Congress makes for itself. Every two years, when the House of Representatives gavels in, the majority party in the House approves a resolution adopting rules that determine how bills will be debated and get to the floor for a vote. This year, the House passed major changes that touch everything from ethics to the debt ceiling. 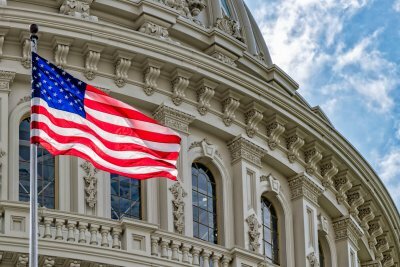 But some of the most interesting new process rules are fairly technical provisions recommended by the Problem Solvers Caucus, a bipartisan group of legislators committed to finding ways to make Congress work. The Problem Solvers Caucus had joined forces with the non-partisan organization, No Labels, on a comprehensive package of reforms called Break the Gridlock. They urged the Speaker of the House to adopt the reforms, and after much negotiation, settled on three basic rule changes. Any bill with at least 290 cosponsors, or a majority of Republicans and Democrats in the House, must be marked up by committees within 30 days. (A markup is the process by which a committee debates and amends a bill.) This rule is intended to ensure that bills with wide support actually get to the floor for a vote. Any amendment to a bill with at least 20 cosponsors from each party will receive a floor debate and vote. Once per session of Congress, every member of the House will receive a markup on a least one bill of their choice, as long as the bill is cosponsored by one or more members of the other party. The goal of these provisions is to give legislation with bipartisan support a better shot of passage in Congress, where party leadership can have an iron grip on which bills advance and which bills languish in committee. In effect, these changes decentralize some power in the House by giving more of a say to rank-and-file members. Significantly, three Republican members of the House – Reps. Tom Reed, John Katko, and Brian Fitzpatrick – crossed party lines to vote in favor of the rules package. Reed, along with Gottheimer, is a co-chair of the Problem Solvers Caucus. “This is a step in the right direction, and I want to show that it’s time for both sides of the aisle to set aside this partisanship and start working together,” said Reed. PAYGO, or “pay as you go” is now in effect. That means that any bill that increases mandatory spending (i.e. programs like Medicare and Social Security) or cuts taxes must be offset by cuts to mandatory spending or an increase in taxes. The rule can be waived only by a majority vote. Bills must be posted for a full 72 hours before a House vote, giving members adequate time to review proposed legislation. Members of the House are barred from serving on corporate boards, a response to the recent criminal indictment of former Rep. Chris Collins. Roll Call has a handy list of the new House rules. Will these new rule changes actually help Congress break the gridlock, as hoped? The rules apply to the House, not the Senate, but are a promising first step.